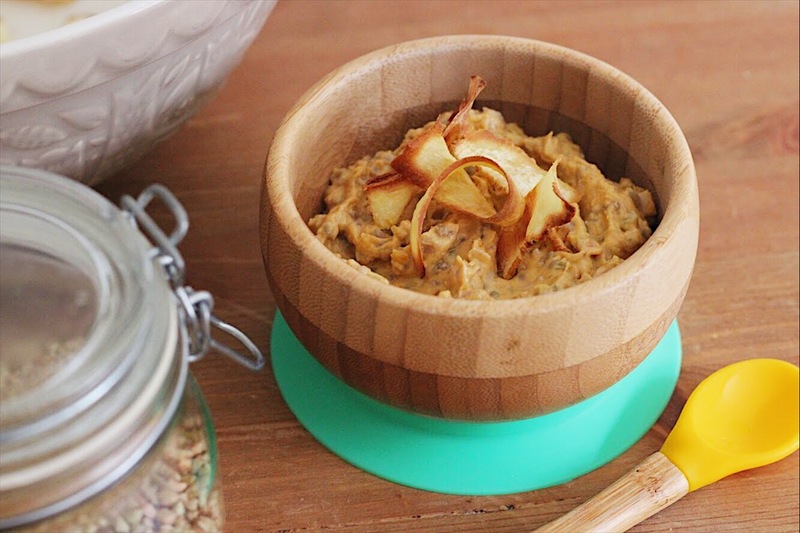 Here is my last of three baby weaning inspired recipes here for Flamingo Monroe – a Butternut Squash Buckwheat Risotto with Parsnip Crisps. Risotto is a creamy, melt-in-your mouth type of dish enjoyed by family members of all ages. This Buckwheat rissotto, or “buckotto”, is my healthy and nutritious take on a much loved family classic. Despite the name, buckwheat is not wheat – it is a pseudocereal and is naturally gluten free. Buckwheat is given a lot of attention by healthy eating enthusiasts and parents with babies and young children will be pleased to know that buckwheat naturally contains lower amounts of arsenic per kilogram than rice. I also enjoy exploring the use of various grains as part of a nutritious and healthy diet. 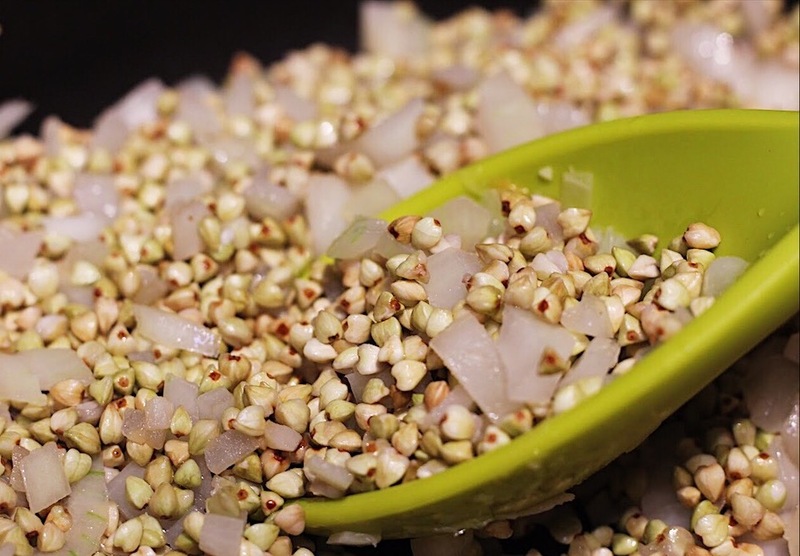 For this recipe I use raw buckwheat groats. They are fairly easy to find in UK stores, I get mine delivered with my regular online food order. These are the same type that I use in my Weaning the Nation Homemade Granola recipe. I hope you’ve enjoyed this mini series and if you did, do remember to follow Weaning the Nation on Instagram and Facebook for more healthy weaning tips, nutritional family friendly recipes and general ramblings from this London based mum of one. Slice the butternut squash in half lengthways, scoop out the seeds and discard. Place the two halves face down on the chopping board and work your way along each half slicing every half-inch or so.Place on a baking tray and brush with a small amount of olive oil and top with a sprinkling of dried sage before placing it in the oven for 25-30 min to roast. Whilst the butternut squash is roasting you can prepare the ‘buckotto’ base recipe. Heat a small amount of olive oil in a large saucepan (or stockpot) finely chop the onion and garlic and add to the pan for 5 min before adding a tsp of dried sage, all the buckwheat and 100ml of the stock. Stir well and continue to add the stock gradually as you would when making a risotto until all the stock is used up. 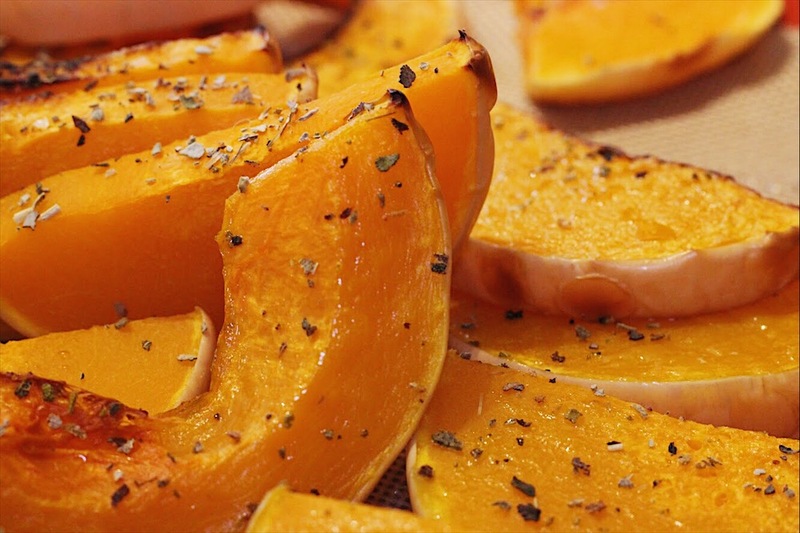 Remove the squash from the oven before it starts to burn at the edges and leave to one side to cool. Once the squash has cooled remove the skin with a spoon or knife, this should be super easy to do now that the squash is roasted. Make a creamy puree with the squash and milk. Using a food processor is the quickest and easiest way to do this but should be possible to achieve a nice creamy consistency by hand using a potato-masher as the butternut squash should be super soft after roasting. Chop the walnuts as finely as you can with a sharp knife, or use the milling setting on a food processor to grind the nuts fully. Add the nuts and the butternut squash puree to the pan containing the base rissotto recipe and stir in the nutritional yeast if using. Allow to warm through in the pan for 5 min before serving or transfer to an airlock container where it can be stored in the fridge for a few days. Scrub and wash the parsnip. Use a potato peeler to create thin strips of parsnip with the whole parsnip. Pat the strips of parsnip with a clean tea towel or paper towel to remove excess moisture. 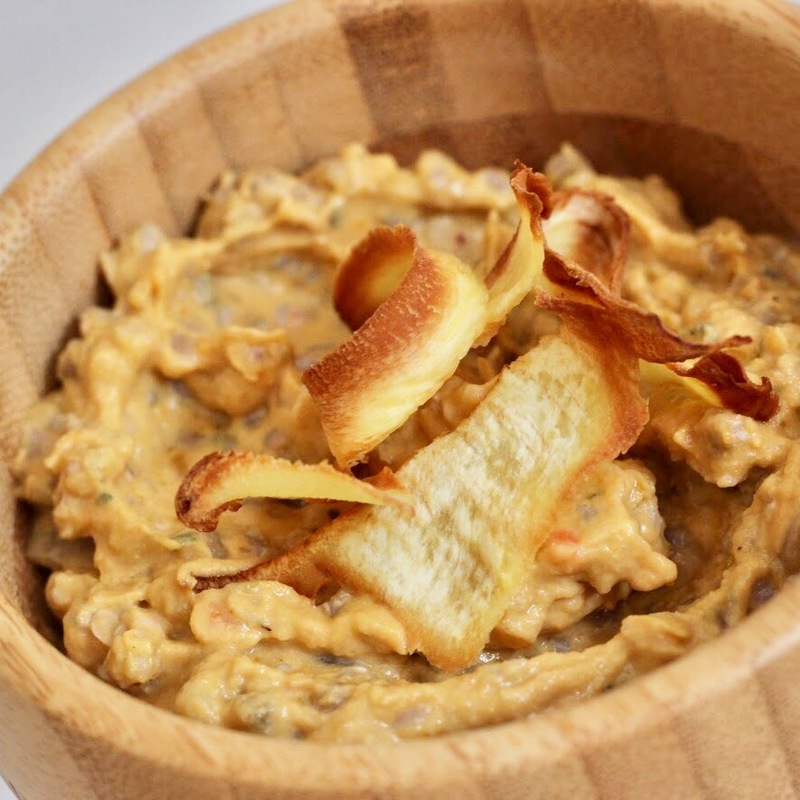 Place the parsnip strips in a bowl with 1 tsp of olive oil and use your hands to coat the parsnip in oil. Lay the strips of parsnip out on a baking tray and place in the oven for approx. 8-10 min. Watch carefully to make sure that the parsnip does not start to burn. You may need to rotate the baking tray halfway through cooking to promote an even colour. This flamingo’s review: It hadn’t occurred to me to experiment with alternative grains when playing around with different ingredients for mine and Henry’s meals. It turns out that buckwheat is a great (and healthy) option and it works so well in this particular dish. I love risotto and I don’t know any baby that doesn’t LOVE both butternut squash and parsnip. This is certainly a winning recipe! For more recipe ideas and weaning inspiration you can follow Weaning The Nation on Facebook and Instagram and sign up to Kelly’s blog at weaningthenation.com. 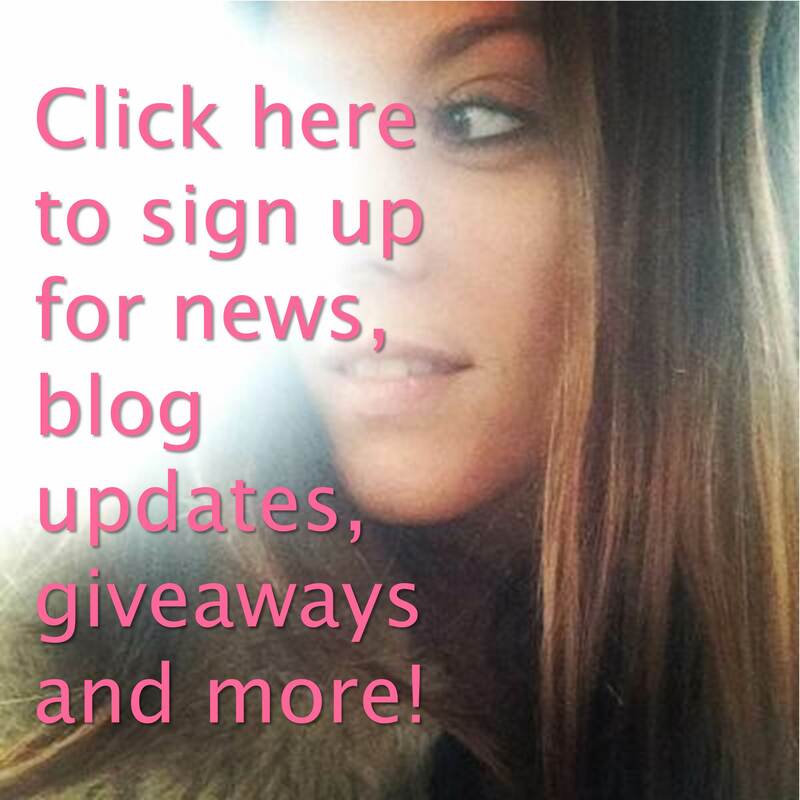 A BIG thank you to Kelly of Weaning the Nation for guest blogging here at Flamingo Monroe. I’ve thoroughly enjoyed working with her and her three exclusive recipes have been a hit with my 8-month old – I hope they’re enjoyed by you and your little ones too!